Frequenters of my blog and others I write for know about InvadR, Busch Gardens Williamsburg's awesome new wooden coaster that's assimilated itself into New France. Sadly, my summer schedule means I haven't taken it for a spin yet, but I was there for the hard hat tour and it looks absolutely amazing. Unsurprisingly, it looks like the Viking invasion is going to form a major part of this year's Howl-O-Scream presence for the park this year. The park-wide celebration, which goes on from late September up to Halloween, transforms Busch Gardens into a series of themed haunted houses and "Terror-Tories." Everything is kid-safe during daylight hours, but when the sun goes down, all bets are off. Last year, the park introduced No Escape, its first foray into the escape room craze. Mr. Karver, the insane doll maker who made up part of last year's branding, will be back -- but there will be new puzzles to solve this year, so don't think you're getting out easy if you escaped last time. Replacing Jack the Ripper will be "Case of the Haunted Hotel," a new story that invites attendees to solve puzzles so they can check out before they're trapped forever. Previously when the sun went down, New France transformed into Wendigo Woods, a post-apocalyptic fallout shelter where you were as likely to be menaced by security guards as by monsters. This year, though, they're playing the Viking theme to the hilt with Axe Alley. 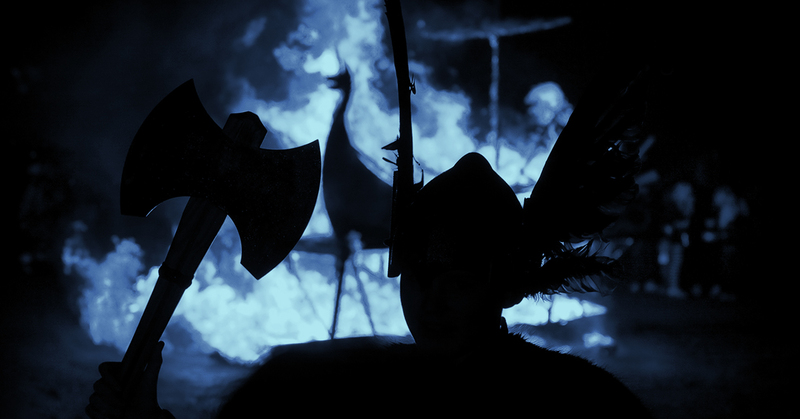 This "raiding party gone horribly wrong" will kick off at 6 pm, surrounding park-goers with the ghosts of Vikings. And, of course, there's FrostBite: the previously announced haunted house inside Curse of DarKastle that leads visitors through the icy grave of a fire-breathing giant. Even if you've been inside DarKastle before, this one promises to be completely different thematically. The park flips to Howl-O-Scream on September 23. More information is available on their official site -- and I'm absolutely planning to see what else they have in store!